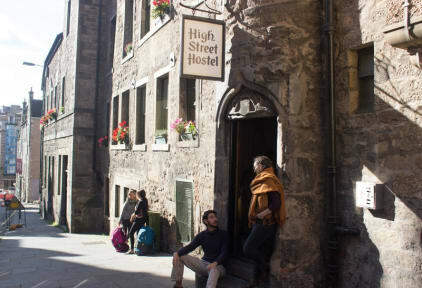 Awesome hostel, really welcoming and cosy and right in the heart of the royal mile, the perfect location. Rooms and facilities are great and the breakfast buffet is a plus. Also it’s really easy to find and it’s close to the train station! Really recommend if you’re visiting Edinburgh! Absolutely AMAZING! awesome location just by the royal mile, great atmosphere, very nice team... Just loved it! Staff was very kind. Good showers. Very well located close to main attractions in the city. Ambiente bastante simpático. Decoração gira, simples. Confortável e acolhedor. Gostei do hostel, a única coisa que me incomodou foi o fato que tive que dividir o banheiro com outros meninos. Como tinha reservado um quarto só para meninas, estava esperando um banheiro exclusivo também. De resto, o hostel é limpo e cada um tem sua própria tomada e lugar para guardar a mala com cadeado, o que é ótimo. Everything about it was amazing except for the strange odor one could feel in the bedrooms and toilets/bathrooms area. But the building is very nice and very centered. Good choice for anybody that wants to go to the pub or travel around the Old Town.